Hunt the 2 Best Areas Texas has to offer !! fallow deer, and more. All hunts are guaranteed! FOR MORE INFO, CLICK HERE! Box R Outfitters also provides Texas Trophy Hunts for trophy game on exclusive ranches. 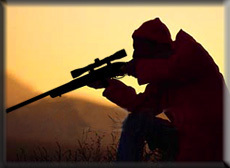 We primarily hunt on an exclusive ranch near Dryden, Texas. This town is 110 miles due west from Del Rio, Texas, near the Rio Grande. This is rugged country. You will go back 150 years in time. The ranch has an abundance of game including, Texas White Tail Deer, Desert Mule Deer, Javelina, Desert Quail, Mourning Dove, Mountain Lions, Bobcats, Badgers, Coyotes and more. booking agent and hunter with Box R Outfitters for over 25 year. His number is 817-360-3389.
available, some probably from your own area.